WASHINGTON — The Senate Budget Committee released the text of the Fiscal Year 2018 budget resolution on Friday, a critical first step for Republicans to move forward with tax reform. The budget gives Republicans in both the House and the Senate a deadline of Nov. 13 to release legislative text on tax reform. 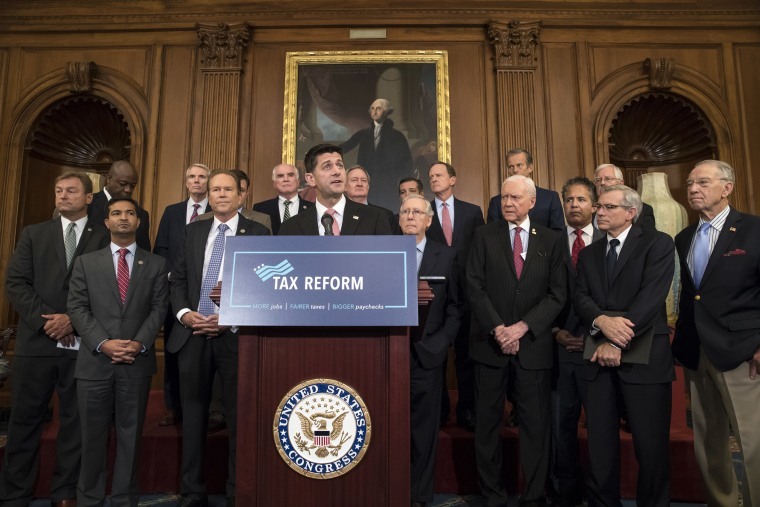 The GOP unveiled a broad outline on taxes this week but still have the difficult work of filling in all the details before it can be voted on. The Nov. 13 deadline will satisfy anxious Republicans who want to pass tax reform before the end of the year, but it is a different tactic than the party took on health care where leaders were reluctant to set exact deadlines in case it wasn't met. Without a budget resolution, the Senate would have to pass tax reform with 60 votes. The rules of reconciliation under the budget enable the Senate to move the legislation with a simple majority of 50, meaning that no Democratic support is necessary for it to pass. The budget resolution allows for a plan that reduces spending by $5 trillion. The Senate Finance Committee is to come up with $1.5 trillion in tax cuts while the the Energy and Natural Resources Committee is directed to find $1 billion of savings. “This budget resolution puts our nation on a path to balance by restraining federal spending, reducing tax burdens, and boosting economic growth. It is also the first important step in providing Congress with the tools it needs to enact tax reform that will grow America’s economy and strengthen hardworking families and small businesses,” Sen. Mike Enzi, R, Wyo., chairman of the Budget Committee, said in a statement.